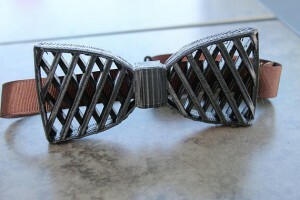 Last night I participated in another Friday Night 3D Printing Community Hangout. The episode started discussing filaments where I had to confess I am pretty homogeneous (loyal) with my brand. I almost exclusively use ColorFabb filaments with just recently venturing out to give Hatchbox and Polyalchemy a try. 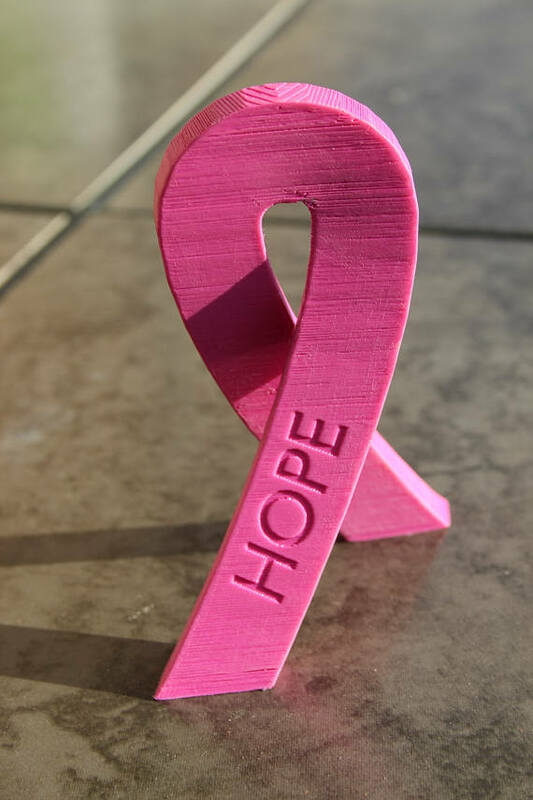 Later the conversation turned to something very close to my heart — outreach and bringing 3D Printing to our communities. The full episode is hosted at NillaBean 3D’s channel. Watch below. 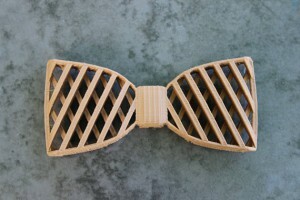 A few months ago, I got a rushed custom order from someone looking for a Black Bow Tie for a wedding. They had a good idea and I’ll make sure to keep a black “tuxedo-ready” version in stock for the future. 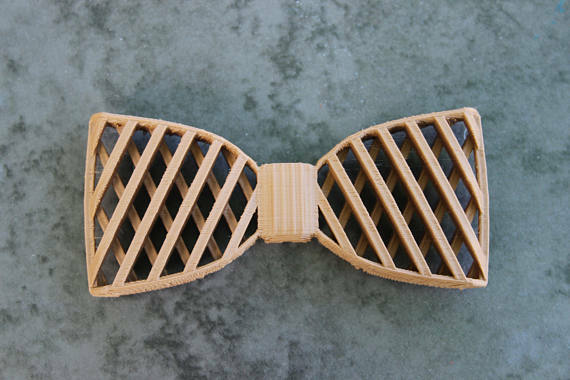 I inadvertently discovered the Brown Plastic version of the Bow Tie looks just as good as the Wooden One. Since this material is a little less finicky, I can offer it for a lower price than the full blown wood… just in time for Father’s Day! 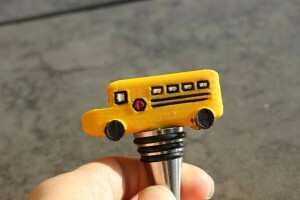 A great gift for your favorite retiring School Bus Driver! After about a dozen custom orders, I decided to finally list my School Bus Wine Stopper up on Etsy. This is another one where custom orders have enticed me to make an Etsy listing. The Standing Cancer Ribbon can be customized in color and inscription. 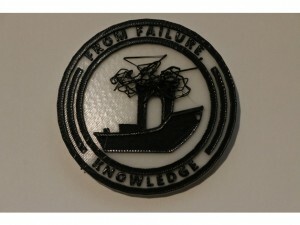 And thanks to Thingiverse member, B_Layne, I know now what the English version of the From Failure Comes Knowledge Maker Coin looks. Lovely! A friend of mine who is a drone-enthusiast recently starting dabbling in Fusion 360. He designed himself a GoPro Mount for his SpaceOne 220x which I printed over here on the Wanhao Duplicator i3. It ended up being a pretty darn sweet deal for me. Quick easy print and I got a free sushi dinner out of the gig (not to mention great company over the meal). Now that the weather is warm, my friend is flying more frequently and I’m finding it delightful to see the print in action… or rather what the print helps records while in action. The latest video is below. You can also check out his channel at Pokey FPV. If you need a GoPro Mount for your SpaceOne220x, you can download the model on Thingiverse.